Earlier this year Australian country music star Adam Brand marked his 20 years in the music industry with the album Milestones … 20 Years, a collection of hits and fan favourites from those two decades, as well as two new songs. Adam has taken those milestones on the road, and is currently touring the country. I spoke to him in between shows. Your tour’s only just started. Well, it’s kind of started. The album just came out but I actually started doing these Milestones shows back in May because I figured it’s not just about the album this year, it’s about the year, the whole year of just the anniversary year, so I started earlier. Speaking of your anniversary, now 20 years as a performer, I am wondering how that’s possible when you still look 25. You’re too kind. It might be called Photoshop, it might be called bad eyesight on your part, it might be called, I don’t know [laughs]. But it really seems not possible because obviously you’ve had a long career but 20 years sounds like a very long time when you still are a young man actually. Sometimes I sort of think about it myself and I go, Wow, where did that go? or Can that really be true? Can it be that long? It’s been an amazing ride and not only that, I started late, I was a late starter. My first album didn’t come out until I was 28 – [for] a lot of people [it’s] in the early 20s or even teens. Do you think that was an advantage starting later, because you knew you really wanted it by that age, it wasn’t just a laugh or anything like that? Yeah, I’d already done an apprenticeship. We had a couple of little business things and worked with different people and travelled a bit, so when I made that decision and thought, Now I want to try this, I went into it without just stars in my eyes, I went into there thinking, Okay, I’m going to have a go at this, I’m going to really, really put everything I’ve got into it, rather than just spinning the lottery wheel. Adam Brand is one of the great entertainers of Australian country music. His new album is Get On Your Feet, and while on one level it will get fans on their feet, on another it marks a shift in direction for Brand, as we discussed recently. What gets you on your feet? Some people like their country to sit down and cry into their beer to, some people want it to tell the story about the family farm and all that kind of stuff. I want my music to be something to dance to. I want a mosh pit. I want people to tap their toes and wriggle around in their seats so much that they can’t help it, they want to get on their feet. That’s what I look for. I want to feel good. I don’t want to contemplate why I’m here and what the universe is all about when I go to a show. When you play a show, if you don’t see people getting on their feet, how far are you prepared to push it to get them up? Oh, I’ll down into the audience and grab someone and start dancing with them. Anything [laughs]. It depends on the show. If you’re playing a theatre, then obviously it’s difficult for them to get up so you have to judge it on each venue as is and the kind of show. In that kind of venue, that kind of environment, I’ll probably do a little bit more listening stuff. I’ll still tell people to wiggle their bum cheeks in the chair or wave their arms around or something, make some noise, but you have to feel your way. So with this new album, Get On Your Feet, how long was it in the planning? Eighteen months. And I was on the road with my previous album and the Outlaws – Adam Brand and the Outlaws – and we were touring everywhere and I was working on it then. I was going through demos and listening to songs. There was no real technical process for me for the song selection on this album. I wasn’t strategically ticking boxes of ‘I need this many of this type of song’ or this tempo, this key. It was purely a matter of all the songs I was getting, all the songs that I had that I liked, putting them in a playlist and as I fell out of love with them, I deleted them. I ended up being left with ten. It’s kind of like panning for gold. I swished it all around and in the bottom I saw ten specks – these are the ones that I still love singing along to. I was doing carpool karaoke with these songs long before I recorded them. That process of listening to songs and falling out of love with them – do you give yourself a certain amount of time for that to happen? Such as, ‘If I’ve had this on the playlist for two weeks and I’m sick of it, that’s it’? Or is it not so scientific? Absolutely nowhere near scientific [laughs]. It’s really just fly-by-the-seat-of-my-pants. It all depended on when I was going to the studio. The cut-off time was basically the day I went into the studio, that I could make changes. So whatever songs were left on that playlist were the ones that were my top ten faves and that’s what I’m going to record. I didn’t even think about, These have got too many subjects about drinkin’ or fun or love. It was just the ten songs I wanted to sing along to the most. That was as scientific as I got. On previous albums have you concentrated more on certain subject areas? That’s quite a brave thing to do, lead with your heart, because you really need to have the courage of sticking behind it. If someone questions your choice you can’t rationalise it – you can’t say, ‘I needed a song about X’ or ‘I really like the time signature’. On this album, compared with previous albums, I found a sense of an arc through the songs from beginning to end, and a sense of cohesion that comes from the way you’re singing the songs. I heard a real confidence in the way you were singing and I’m wondering if that was related to you leading with your heart. Wow, thank you for that observation – really. And, yes, I do believe that. I believe that because I led with my heart it probably all made so much more sense, and that leads you to that cliché of ‘follow your heart’. Maybe your heart really knows what it wants. Maybe you should trust your heart more. In the studio singing these songs I felt confident – not cocky. When I was about to start singing each song and I had the lyric sheet there, and the engineer said, ‘We’re doing this one’, I said, ‘Yeah, I love this song!’ There was this passion for them and with that this confidence. And the confidence came as well because I’d been singing along to them. I knew these songs – they weren’t new ones that I was discovering and creating them in the studio. I already loved them. As you said, if someone wants you to justify it and all I’ve got is ‘Because I love it’, I feel that gives me a position of strength because that should be the ultimate reason because you record a song and want to show it to people and say, ‘Hey, have a listen to this – this is my song.’ If I can do that with my hand on my heart and not have a little spreadsheet of reasons why I felt I needed to do it … If the only reason is that I stand there saying, ‘I love this song – if you don’t like it, I don’t care’ [laughs], maybe it’s coming of age, maybe it’s a confidence thing, I’m not sure but it feels good. And it sounds good on the album. What I’m curious about is that it’s not like you’d have had any cause to doubt your convictions earlier because of how your career’s gone. It’s interesting that it’s at this point in your career that you’re feeling this way. And I’m wondering if it has something to do with that Outlaws tour, whether going on the road, playing with your mates, having a lot of fun – did that experience inform this one? It could have been the precursor to it. But I found just doing the Outlaws tour, putting that together, there were people who raised their eyebrows at that. There were people saying, ‘Hang on a minute – you’re doing cover songs?’ Or, ‘These aren’t country songs. You’re doing Queen? You’re doing Jet? What are you thinking?’ So I think the confidence started back then, because I had this real conviction about the album. It was an idea that I’d had for ten years. I got some of my best mates in the band with me, and they were trusting my judgment on it. They were standing behind me going, ‘We’re going to trust your judgement even if we cop some flack – we’re all in this together.’ And there were a lot of people who didn’t really get it at the start, until they saw us and they said, ‘Oh – this s just five guys having fun, isn’t it?’ and I said, ‘Yeah, that’s it. We’re just singing fun songs.’ [Laughs] So I think the strength of conviction that it took to really surge ahead with the Outlaws probably put me in a really good position to do this album, because this album is pushing the boundaries on my music. I’ve got dance loops in there. When the first single came out I had people saying, ‘You’re turned poppy and you’re doing this and you’re doing that.’ And I said, ‘I’m just doing what I’m doing because I love it. Have a listen to the whole album and then tell me what you think.’ It didn’t rock my boat and I think part of that was because I came from the Outlaws project feeling like this was an idea I’d had for so long, I backed it, my mates backed it, and it worked. So just lead with your heart and just trust that everything’s going to be okay. You used the word ‘fun’ and when I was listening to the new album the new things I noted most were ‘confidence’ and ‘fun’. But I think in a way it’s also brave to say, ‘I just want to have fun’, because so often for artists there is pressure there to have songs that are meaningful – that idea when your audience comes in that you have to give them a show that really resonates with them. But, really, I think what most people want when they come to a show is fun. I’m asked a fair bit, ‘What’s your political stance? What song are you prepared to get handcuffed for?’ My political stance is: be kind to one another. That’s it. I reckon if we master that, a whole lot of other things are going to disappear. Does my show have light and shade, does it have those moments that are a bit more serious? Of course it does. I sing songs like ‘The Anzac’ which is paying respect to people who have served our country. You probably can’t get much more emotional than that. But is it fun? Absolutely. But what I class as fun isn’t just all drinking and getting stupid – it’s about squeezing of the person who’s sitting next to you because I’m singing a song that’s talking about a deep connection with someone you love. Or it’s about the value of a family and how much fun it is to be immersed in that. There’s a song called ‘That Was Us’ talking about young fellas who everyone thought were meatheads but they were actually really good boys who helped Old Man Smith bringing in the crops from his field when he had an accident. There’s lots of textures within that, having fun. But it’s about feeling good. It’s about spreading some happy, you know. You have a really good relationship with your fans. You’re great on social media. They obviously turn up for you time after time. Do you think of them when you’re in the studio? As an artist you have to lead your fans into that fun, so do you trust that you know your fans and what you produce will be great for them, or is there ever a glimmer of wondering what they’re going to think? Every time I hear a new song or I decide to record a song or I fall in love with a song, one of the reasons why is how I feel when I imagine myself singing it on stage. A huge part of falling in love with a song is me standing on stage and looking out as I’m singing these songs and thinking about how people are going to react to it. With the song ‘Campfires’ I straightaway saw myself on the stage of Deni Ute Muster, looking out above all the heads, out to the paddocks around the side where all the utes are parked, and all these campfires. And all the people who have done road trips to get there with their mates, and after the concert’s finished they’re all sitting around these glowing embers and there’s music blaring out of every second ute. I just pictured this and thought, Yeah, this is my song. Then I went further and thought, No – this is our song. It absolutely is an integral part of it, of how I feel we’re all going to connect with it together. And therefore it’s no mystery to me at all how your fans have such a strong connection to you, because that level of empathy for your fans is really significant. People want to feel that connection when they really love someone’s music – they want to feel that you’re all in it together. True. And you know what? People always talk about artists and say ‘you’re trying to get your fans connected with your music’ but I actually feel connected to them, because I don’t feel any different. I’m a fan of music. I go to gigs sometimes and I’m in the mosh pit with them. So I feel it’s something I’m connecting with then there’s a likelihood that they’re going to connect with it as well, and we’re going to connect with it together. We’re going to laugh together, we’re going to cry together, we’re just going to be swept up in an emotion together. There’s times when I’m singing ‘The Anzac’ and I look down and see a nineteen-year-old kid standing next to a sixty-year-old grandad and they’re both standing there with tears streaming down their faces and their hands on their hearts, standing for the Anzacs. At that point I’ve got to hold back my eyes from welling up, because I’ve got to perform. In those moments I think, We’re all in this together. Speaking of those shows and those fans, I would imagine you have some touring plans lined up. Huge amount. It starts in Lismore and then goes everywhere from Darwin to Tassie to Cairns to Perth. Last week I did Launceston on the Friday night and then Gold Coast album launch on the Saturday night. You have twelve Golden Guitars. You might think, My life’s complete – I’ve got all those Golden Guitars. Do you feel that sense of satisfaction or do you feel that urge to do more, see more, achieve more? I don’t really think about them very much. Am I honoured to have received them? Absolutely I am, but I don’t really think about them too much. My head and heart are more immersed in performing and singing the songs. I don’t really know how to answer that question. As an ambitious person or someone who wants to achieve things, there’s always those levels of things: Last time I charted this high; this time it would be nice if I charted this high.There’s all those sorts of things, but they’re really secondary. The awards and the sales amounts and all that kind of stuff, it’s secondary to the excitement that I get when I’m standing in front of people to sing my songs. If I’m sitting in a room playing acoustically to fifty people it can be an absolutely amazing experience that can overshadow standing in front of two thousand people. It really is all about the connection with the audience and as a performer that is the real thing that ignites me inside. My sense of your career is that what you’re interested in is more great work. You seem to appreciate the moment but you’re also curious about what’s next. Absolutely. I’m certainly not thinking about next sales achievement or next award achievement. I’m just thinking about what’s going to make the hair stand up on the back of my neck next time. What is going to make a difference? What is going to create something that makes people go, ‘Oh wow, that was just an awesome time.’ At the moment I’m on fire about this idea of doing free shows. I did one in Tamworth. I usually do a midnight Birthday Bash, for a lot of years. Maybe it’s because I’m getting older but I did an afternoon one [laughs]. I did a free one. I took over this venue at four o’clock in the afternoon, the Albert Hotel. We opened the doors and put some signs out front saying, ‘Adam Brand playing here now’. Ten past five I walked on stage. For me, it’s doing something that maybe other people don’t do. I want to show my fans and say, ‘Hey, I just want to play for you.’ Obviously there’s commercial realities with touring that’s part of the world that no one can escape from, but sometimes I just want to be able to do this. The Gold Coast album launch, I did it at night markets – food markets – the Night Quarter. They’ve got this incredible performance area. I did it for free. Just advertised it – ‘Big album launch, just come along’. It cost people three bucks to get into the market area and then it was free. We had about two thousand people there. It was amazing. I just want to do things different. I want to do things unexpected, too. Get On Your Feet is out now through ABC Music/Universal. Buy it on iTunes. Adam Brand is one of Australian country music’s busiest performers, regularly releasing albums and touring the country. He’s also someone who, as I’ve discovered in the past, doesn’t mind a side project. Now he has a new side project, which is actually going to be his main project for the first few months of 2016: Adam Brand and the Outlaws, which sees Brand gathering the considerable individual talents of Drew McAlister, Travis Collins, Matt Cornell and Mike Carr into one outfit. The band will launch their debut album and their national tour with a headline show at Blazes during the upcoming Tamworth Country Music Festival. Recently I spoke to Adam to find out more about the story behind the Outlaws. So whose idea was the Outlaws? It was my idea. I’ve been mulling it over for quite a few years, actually, probably ten years. And it was always one of those things I thought, One day I’m going to take a little bit of a break and get together a bunch of my mates, and we’re going to start this band and do an album and a tour full of all these big, classic anthems, and we’re just going to go out and have some fun. It was as loose and as broad as that. And all the planets aligned and it just came together. I love the idea of you saying, ‘I’m going to take a break and …’ because for you that seems to be code for, ‘I’m going to take on another big activity or project’. Yeah, that’s it – I’m adult with ADD, that’s for sure. The last time I spoke to you, you said you’d taken a break and opened a restaurant. [laughs] Maybe ‘adult’ was a stretch – I just have ADD. This is an incredible collection of musicians to have in one place, let alone in one band. You said you first had this idea ten years ago – some of these guys would have been in that plan ten years ago. How did you pick them? When you want to do something like this you have to do it with people who, first of all, you respect and most of all they have to be people you really get on with and great mates. These guys are some of my best mates in the industry, so the process of asking who’d be in there was fairly easy and straightforward. The difficult part – or in my mind what I thought was difficult – was whether everyone was going to be able to [take part], with the schedules. Everyone’s got touring and gigs and all that kind of stuff. First of all to record the album and then get everyone’s schedules to align so we can go out and tour. I felt that if all the pieces of the puzzle didn’t come together properly then it wouldn’t have been the right time and it probably wouldn’t have happened now. How did you get the time to record the album let alone tour with these people? I started talking to them about it all in December last year, so it’s had a bit of planning time. People are in between things and it’s sort of the right time – Drew [McAlister] was coming out of McAlister Kemp, Travis [Collins] was at the end of an album, Matt [Cornell] was at the end of an album plus Matt tours with me as well, plus Mike [Carr] hasn’t done anything for a long time, so I’ve been on him saying, ‘Come on, it’s time to get out there and release another Mike Carr album’. So that was motivation for him. It was the right time for everybody. I have to confess that this is the first time I realised that Mike is Buddy Goode. [laughs] No, he’s not. Buddy Goode is Buddy Goode. I’m keeping the illusion alive. Yes, he’s the creator of Buddy Goode. Buddy Goode definitely has his own persona. So if I was to ask you to describe each of these Outlaws in one, maximum three words … Drew McAlister in one to three words? Huge mountain of a man. Old rock dog gone country. Hmm, what’s the word I’m trying to look for? He’s unstable, that’s what he is [laughs]. Always keep watching, because you never know what he’s going to do. He’s a wild card, that one. And if I was to ask any of them about you, how do you think they’d describe you? I don’t know what would come out, but it could probably be summed up as something like ‘non-stop Energizer bunny’. I don’t know. I have to agree with that, given the amount of stuff you do. Now, the album’s recorded and it’s coming out in January. You mentioned that you’re covering some other people’s songs. Is that because you all thought you’d squabble about songwriting if you were left to your own devices? [Laughs] No. If we all got together and wrote an album it’d probably be pretty interesting. The idea for this album was centred around the shows. And the idea of the shows was to go out and play songs to a crowd that just wanted to have fun. And from the first ten seconds of every song that we play, people turn to each other and go, ‘Awhhh, I love this song! Remember this song?’ It’s anthemic. It was a little daunting, because sometimes when you decide to cover a song – especially when a song is a classic – you always think, I’ve got to come up with some different way of doing this but I’ve also got to pay respect to the song.Because sometimes you just don’t mess with something’s that a classic. We covered a whole album of classics, so what we had to do was, first, before we decided on a song we had to really try to define our sound, and then whatever song we picked we just had to apply our sound to it so that we stayed true to this Outlaws theme. So that’s how we did it. I think it was Drew who said there were a few dodgy gigs along the way trying to become good at what you do. Is that true? I think what he meant was that we’ve all done a lot of miles, a lot of gigs over the years, to get to the point where we’re all ready to embark on something like this. You mentioned that idea of having fun as being central to this – do you think that the mood in the country, in the culture, at the moment suggests that people do need to have a bit of fun? Have you been picking that up as you’ve toured? Most certainly. Life’s not easy for your average everyday Aussie. I think fun being the central theme and a devil-may-care attitude is a healthy thing sometimes. Not that we don’t care what’s going on around the world, around us, but sometimes you’ve got to take a break and say you’re going to blow off some steam and let your hair down. And certainly I think the role of country music when it comes to country towns, in particular, is really important – it does give people a break from some fairly serious concerns. Definitely. Sometimes just that respite from what’s going on is enough to give you a bit of a kick and a bit of an energy boost to keep going. The band is billed as Adam Brand and the Outlaws – does that mean you get to do most of the singing or do you let the other guys have a turn? I suppose it’s billed that way because I’ve had a lot to do with all of these guys and their careers at some point. But what it means is quite the opposite: I can delegate everybody else to sing and I can sit back and have fun, just jump around the stage. And these guys are fantastic singers, they really are – I just stand back in awe. For me this tour is going to be a dream come true, you know. There’s one song in particular I sit back and hang around and probably carry on like a pork chop, and three times during the song I come in and deliver one line. I love singing, I love performing, but I get great satisfaction out of watching these guys do their thing. They’re going to be introduced to some new crowds as well, so it’s going to be fantastic. You said earlier that it would be interesting if you all did some songwriting together – given how long you’re going to be on the road together and the collaborative nature of country music, I wonder what will come out of this tour. You just never know. If a few of the boys can stay sober enough, we’ll see what happens [laughs]. You’re going to kick off the tour at Blazes [in West Tamworth Leagues Club] during the 2016 Tamworth Country Music Festival – was that always the plan, to launch during the festival? It was. The Blazes midnight show has been historically my Brand Birthday Bash that I do every year and it’s just one of the biggest parties of the year for me and the boys in the band, so I just thought this would be the perfect time, the perfect kick-off, the perfect environment for the Outlaws to be unleashed. It’s going to be our very first gig. We did two songs at the [Gympie] Muster just to introduce people to us but this will be our very first full gig and it’s going to be a big night. It sounds like you might need quite a long set to fit everything in. We’re going to play the whole album and have a couple of surprises. But it’s not going to be an Adam Brand concert with all of my songs, it’s going to be the Outlaws songs and then a few little other things dotted in there. It’s one thing to get you all together to record an album, but rehearsing for the tour – is that mainly going to happen in those days when you’re all together in Tamworth just before the gig? We’ll probably go into the rehearsal studio before we go to Tamworth, just to have a bit of a blast-out. Before we went into the studio [to record] we did the same thing – we went into a studio for a week to rehearse these songs and sort out the arrangements and all kinds of stuff. So we’re going to be prepared for it. And you’re all incredibly seasoned professionals, so I would imagine that in itself means you can all walk into a rehearsal room and you know what you’re doing. The guys are very professional that way and we’ll all learn our parts and go there. It’s probably going to be more about choreographing our dance moves [laughs]. It’s more to work out how much fun we’re going to have, I think. So is this the point at which we can call you a boy band? Yeah, we’re a boy band, for sure. There’s going to be costume changes, feathers and sequins. And you may all need to get matching haircuts. [Laughs] That’s right. Although it’s mostly going to be Mike in the feathers and sequins, I’d say. Well, one hesitates to ask if Buddy Goode is going to be your support act – I guess that will have to be one of the surprises. Adam Brand already has a busy country music career, releasing albums regularly and touring Australia in between. When I’ve interviewed Adam in the past it’s also become clear that he’s fond of a side project – and now he has a new side project that’s actually going to be his focus for the first few months of 2016: Adam Brand and the Outlaws, which gathers the considerable individual talents of Brand, Drew McAlister, Travis Collins, Matt Cornell and Mike Carr into one band. The Outlaws will launch their album and kick off their national tour during the 2016 Tamworth Country Music Festival (dates below, after the interview) and recently I spoke to Adam about this exciting new venture. Now, your fans are probably hoping that this new band doesn’t keep you from your solo career for too long. Do you have plans already for your next solo project or are you going to do the Outlaws tour first and see what happens? No, this definitely has a life span, the Outlaws. We’ve got the tour booked in, we’ve got a certain amount of time in which we can do it, and once that’s done we’re all back to our individual careers. I’m already working on my next album, actually, for the end of next year . Given that your idea of a ‘holiday’ seems to be opening restaurants and things like that, is there any plan for an actual holiday? Ah … no, not really [laughs]. I’ll probably take a couple of days maybe after New Year’s and go away for a couple of days fishing, maybe. One and a half days. Two days. Something. We’ll see. A lot of people may not realise that to have a career like yours – or anyone else who’s in this band – it’s consistent hard work. You need to have the talent to do what you’re doing but it’s that consistent hard work and realising that actually it’s fun to do it, but you still have to show up every day and do it otherwise things come to a stop. Certainly. And in my regard, anyway, there’s a lot more hard work than there is talent. You’ve just got to keep working at it. You’ve got to keep on trying to be creative. I wake up every day thinking about performing songs, tours, different ideas, and while it is hard work it also is a labour of love, because it’s something that we’re passionate about. And have you, over the course of your time touring, worked out how you can – this is possibly going to sound a bit woo-woo – work that energy of the crowd so you don’t run yourself down? You always go out with the best intentions of not trying to completely drain your tank, but the very nature of what we do on stage is to be emotional, to just let everything out and connect. I actually don’t feel like I’ve done a good job and done it justice and given people what I should if I don’t come off stage feeling completely drained and exhausted and like I’ve given them everything I could. I don’t want to feel like I’m going through the motions. I want to go out there and if I’m feeling like jumping off the front of the stage or running around the stage five times, I’ll just do it because that’s what it’s about – it’s about being emotional, letting those emotions out, letting that passion speak for itself. Which is great for your audience but I’m looking at this run of gigs and you’ve got quite a few day after day after day, so obviously you’ve worked out a way to give that much in a performance and still maintain your energy levels for the next night. Yeah, I’m going to have a lazy-boy onstage so when the others are going for it I’m going to sit down and have a drink and watch, and then jump up and do my bit. I reckon secretly you’re eating lots of vegetables and keeping yourself healthy is how you do it. There is a little bit of that – but then there’s the other as well. 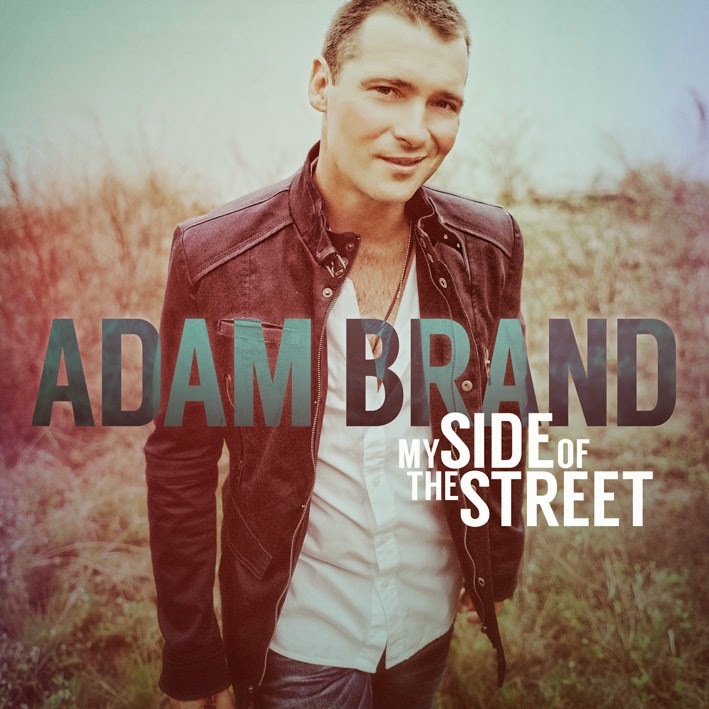 The debut album from Adam Brand and the Outlaws will be released on 8 January 2016. Adam Brand is one of the most recognisable names in Australian country music, and with good reason: he keeps delivering great music and great shows, all done with a smile and a heart as wide open as the Nullarbor plain he once traversed from his home state of Western Australia to pursue his dreams on the east coast. Adam has a brand new album, My Side of the Street, and a tour to go with it. Recently I spoke to him about both. What’s on your side of the street, Adam Brand? Well, you know what – it might not be the flashest, it might not be the sunniest or might not even be the most fashionable, but it’s my side, dammit, and that’s okay with me! I guess that’s indicative of how I feel right now – the journey takes you a whole bunch of different places throughout your life and I’ve arrived at a place where I feel fairly comfortable in my own skin and on my side of the street. And you are absolutely entitled to feel that way. This is your tenth studio album and – not to put pressure on you – you have five gold albums and three platinum albums, and you have an established following, you play every year in Tamworth to big crowds, you tour around the country, so it must feel as if you can look at this stage of your career and think, Great, I’ve done a lot of hard work and I can invite people to my side of the street but I can also do a bit of what I want to do. I think when you release music, a lot of times you can second-guess yourself and there’s pressure from outside parties – ‘It’s got to be this successful, it’s got to do that because you did this last time’ and all that kind of stuff. And I really feel that I didn’t want to give in to any of that pressure or even to take any of that pressure on board because at the end of the day you’ve got to feel very happy and comfortable with who you are and what you’re doing yourself. So I went into the studio without any rules – without any thoughts of success or sales or any of that kind of stuff. It was, ‘You know what? I’ve got to be absolutely honest with myself about this music and about these songs and do what’s really in my heart and go by my instincts rather than on commercial reasons or whatever.’ So that’s kind of where I’m coming from on My Side of the Street – this is who I am, this is where I’m at and even if some people don’t like it – even if no one likes it – it’s okay because this is truth and it’s honest. And people – especially country music fans – can spot fake a mile away. If you’re up there singing things because you think it’s going to be a hit or think you’re going to sell a few extra albums if you go with the latest trend or whatever, they’re going to know it’s not really you. So I just wanted to be true to what I felt was right. And that is true of that audience. But I think it takes a certain act of bravery – probably more bravery at the stage of career you’re at than if you were starting out – to say, ‘This is what’s in my heart and this is what I want to do’, because you do run the risk that you’re letting down tens if not hundreds of thousands of people. So does it feel brave? Hm … I’m not sure. I’ve never been averse to taking a risk, you know, especially when it involves being honest with yourself about something. And I feel that for people who do follow me or have followed me, if they really do like the way I communicate and like the music that I bring out, then they’ll see this [album] and go, ‘Yeah, that’s really him – he’s being upfront right now. He’s not just trying to remake an old song. He’s not just trying to rehash old things he’s done just because he’s scared of not selling enough albums’. And there’s always going to be people who say, ‘Hey, look, I really like your early stuff or I really like that album or this song’ and that kind of thing – and that’s great, because at least they like something of yours! If they came up and said, ‘I don’t like anything you’ve ever done’ well, then, there’s not much you can do about that. I feel it’s better to have a few people really enjoy and believe in what you’re doing than a lot of people just being blasé about it. You often wear your heart on your sleeve in your songs, and you have on this album as well – particularly on a couple of songs co-written by Travis Meadows – and that’s a brave thing to do, especially when more and more people know who you are. And you can hear it in your voice – you’re a very honest, direct singer – we can hear emotion in your voice and we can hear that you’re singing the truth. Do you need extra reserves of energy to deal with that? Yeah, I think you do [laughs]. When you say I wear my heart on my sleeve – you’re right, I do. I’ve never been much good at hiding much at any times, so … [laughs] Maybe I wouldn’t be a good actor. That’s the thing with my music – for some reason I need to be emotionally connected to it, to perform it. In the studio, sure, you can surround yourself with an environment that’s kind of sterile or whatever and record a song. If you’re not feeling it today you can go back tomorrow and do it. But when you’re standing in front of an audience and you’re feeling whatever it is you’re feeling, you can’t switch that off – well, I can’t, anyway. I can’t get onstage and put a mask on and pretend to be something else. So I think being honest, wearing my heart on my sleeve – as you say, maybe it’s brave in some ways but it’s also probably the only way I could ever be because I can’t really market that well! It saves me chopping and changing and thinking, Okay, what am I going to be or how am I going to feel tonight? I am what I am. From a performance point of view, that’s probably the harder road, though – a lot of performers would put on a mask, essentially, in order to not run themselves down too much. Looking at your tour schedule, you have a lot of dates coming up – Mick Jagger apparently takes up running to get in shape before a tour, to get fit, and I thought, Adam must have some kind of fitness regime in order to do all of this. Yeah, he eats pasta and pizza [laughs]. I’m not that disciplined to get into the health and fitness. I’m lucky – I don’t really carry too much weight that I have to go on a fitness regime for it. I was the runt of the litter. Honestly, being on tour is a workout itself, in a way – all the time on stage, I’m fairly energetic. [So I] just attack it head on and if I run out of puff, I run out of puff. Just back to the album – you’ve written some of the songs, some have come from other writers. What was the process like for you, collecting these songs? Because it must take a while to find the right ones. I had a lot of these songs in my secret file, I guess you could say, or my back pocket, waiting for the right time or the right moment. Some of these songs have been my favourite songs for the last few years and I’ve just been collecting them. And I knew that I was going to record them – I just didn’t know when. So some of these, I’ve been waiting to record them and I’m pretty excited about playing them. I was very excited about going into the studio to play them and record them. It wasn’t a real drawn-out process – it came together quite naturally and organically, and I guess that’s the secret to knowing that you’re on the right path for yourself, for your music, is that it came together fairly … I didn’t have to labour over it and second-guess it and really go, ‘Oh, am I doing the right thing?’ or stress about it. It came together quite nicely and I thought, Yes, this feels right. You have Jasmine Rae singing with you on one of the tracks. Now there’s a lot of country music talent around – how did you choose Jasmine? She’s one of the best singers in Australia, I reckon. She sings like an absolute angel. And the last few years I’ve seen her a few times at festivals, I’ve got her up to sing with me for a song here or there, and I’m just really impressed by her. She’s got a great little heart and spirit about her. So it felt right to do a song now and also I’m taking her out on the road, on tour. Will she be your opening act? I’ve got Matty Cornell opening and then Jasmine plays and then I’ll play and we’ll do some songs together as well … I think it’s going to be a really good combination of people, of voices, of textures. So I think it’s going to be a really fun tour. Your voices marry well on the track, so the people going to your show will get at least one duet – and maybe more, by the sound of it. Yeah, I think they’re going to see a fair bit that they probably may not expect. And you have one cover song on the album, a Billy Thorpe and the Aztecs number, ‘Most People I Know (Think That I’m Crazy)’. How did you come to choose that? He was just a legend, you know? And this song’s such an iconic song. I’ve done it before in my shows. I just love it. I just love the song and people sing along with it. And not only that: the title’s quite true. There’s a lot of people who think I’m pretty nuts. It kind of fits. I wouldn’t have thought that about you – that you’re nuts or that people think you’re nuts – so I find that quite curious. Oh, no, people think I’m pretty crazy [laughs]. My shows are very spontaneous. Some people have been doing the same show for ten, fifteen years and they don’t change. But I change mine all the time. And if something happens during the show, I just go with it. I’ve been called crazy a lot of times, yeah – I’m surprised you haven’t heard that! I haven’t, actually, because I have to say my impression of you is one of complete professionalism – you put on these great shows, you get all these albums out, you obviously work very hard. That doesn’t mean you can’t be a bit crazy, but I think it means you also meet your obligations. Yes, absolutely – I definitely do. But I’m professionally crazy – put it that way. Could be. ‘Professionally Crazy’ … It’s a good title – a good song title. So you had My Acoustic Diary out last year, you have the new album out now, and it seemed as if you were recording this album just as My Acoustic Diary was coming out, so you’re really going back to back. Do you have any time for a holiday? [laughs] Not lately. I recorded Acoustic Diary, that came out, then I was in the studio recording this [new album]. Since then I’ve opened two restaurants [laughs]. See? That’s the crazy part. I had not heard that at all – two restaurants – so not just one? I opened a restaurant in Townsville and I’ve just opened the second one in Coffs Harbour. They’re called Brandy’s. I’m a big foodie – love food – so this is something I’ve been wanting to do for a while. So I knew I had a gap between recording the album and then releasing it, so I always planned that I was going to start this restaurant. I knew I was going to do one – I didn’t actually know I was going to do two. That was kind of a little surprise packet. I like the way you say, ‘I had a gap between recording and releasing’ and it sounded like you almost said, ‘So the next logical thing to do was open a restaurant’. [Laughs] I know. I should have gone on holiday but instead I opened two restaurants. And both of them needed renovating – that’s the part I really loved. I spent six weeks renovating one of them and four weeks renovating the other one. I’m just hands on. I love being busy. So are they Italian restaurants? I know you have an Italian background. They predominantly are. There’s a very home-cooked, rustic element to them and an Italian element as well. The one at Coffs Harbour we’ve got things like shanks and big beef ribs, schnitzels and spaghetti. So it’s very home-cooked Italian style. Now I’ll ask you one last question: how do keep the fire in your belly to keep going with all this – keep going on the road, keep recording, and also, as you’ve just revealed, to have side projects? The secret to that is that I absolutely love standing in front of people and singing my songs, and having that real-time connection and communication with people. I just love it. And I feel really lucky to be able to do it. I feel blessed. I get to actually sing for my living. And it’s never really grown old on me. I’ve never really got blasé or, like, ‘I don’t really want to go out and do that next week’. It’s always been, ‘Yeah, I’m a lucky man.’ So it’s not hard at all to keep the fire going. My Side of the Street is out now through ABC Music/Universal. 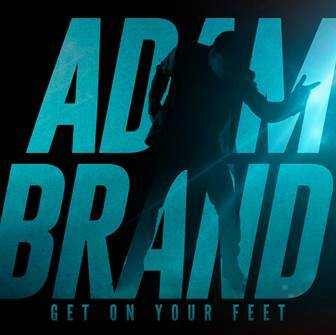 For full details of Adam’s upcoming tour, go to www.adambrand.com.au. There cannot be a country music fan in Australia who does not know Adam Brand’s name, if not have at least one of his albums. Adam is one of the industry’s brightest, and most consistent, stars. Amongst other things, he’s the winner of 12 Golden Guitars. While still a young man, Adam has reached a point in his career where it’s appropriate to release a retrospective – although he is not putting out a ‘greatest hits’ compilation. As Adam explained when I interviewed him recently, the new album, My Acoustic Diary, is much more than that. I’m going to start with a non-musical question about the haircut on the cover of your album, which is quite a radical haircut for you. And I wondered if it was to reflect the stripped-backed nature of the songs. [Laughs] A naked album, a naked head. No, look, this year I’ve just been going back to a very, very simple haircut. It’s number two all over, just walking into the barber and say, “All right mate, buzz me down.” [Laughs]. So it’s just purely for maintenance reasons. That’s not a very good story, Adam. Oh hey, I’m lazy, what can I say [laughs]. [Laughs] Now is this the barber who appeared in the ‘Two of Us’ column with you in the Sydney Morning Herald a little while ago? No. He’s actually quite horrified at the path I’ve taken when it comes to my follicle region [laughs]. Yeah, he’s shaking his head in disgust. Well it’s good to have someone looking out for your hair, but I’d better get on to talking about your music. So the songs on this album span your career. I was wondering: are there any that you wanted to include because musically they were significant but lyrically they were perhaps hard to revisit? I’m thinking in particular of ‘Good Things in Life’. Sure, and the reason why the songs are on there – usually when you do a greatest hits album or an album looking back, putting an album out with other stuff, you just go straight to singles. You whack on the singles and forget about it. But I really didn’t want to do that. I wanted to go back and record the songs that were important to me, the songs that marked certain times in my life that I was going through something that was a big deal or going through a growth spurt as a writer or those types of things. So I’ve really chosen songs that I wanted to reflect a pivotal point in my career and in my life over the last sort of 15 years. So some of those songs were, for want of a better word, lost in those albums – they weren’t singles, I didn’t do them live ’cause they didn’t fit onto each show at the time or whatever. So it’s such a great experience to be able to go back with those songs, singing differently and being a different person, not different but grown up a bit from then and being able to record them again. Songs like ‘That’s Who We Are’, ‘Better Than This’ and ‘Kinda Like It’, they were just songs that I really enjoyed writing and mark some sort of pretty cool parts in my career but I get to do it again, I get to have another go of it. So, yeah, it really is when you look through your diary, you look back, you look back and you go, ‘Okay, I remember what I was doing then and gee that was tough’, or ‘This is great’, or you cringe, ‘Look what I’m wearing’, blah, blah, blah. My diary is set to music and it’s probably a bit more public than most diaries should be [laughs] but I’ve gone back and picked out the points and all these songs are diary entries in my life and my career and that’s what I wanted to share with people. Is it hard if some of these songs are songs that you haven’t being playing live – is it essentially like discovering them new, like you have to learn how to play them again and, perhaps, your discovery of parts of those songs that you weren’t as conscious of before? Totally. Totally. Listening back to them when I first recorded them and going, ‘Okay, this is how I do it now’, and that kind of thing … [it’s] a total discovery and also trying to capture that moment. When you write a song, it’s all exciting and new because you’ve just written a song – ‘Wow, look at this’. It’s your most favourite song until you write another one. So it’s trying to capture that euphoric sort of feeling now because I’ve recorded them nice, all stripped back and not sort of smothered in electric guitars and keyboards and things like that; they’re just raw. So it was really going back and capturing that moment where they were created. You mentioned that one of the options you could have had was just to put singles on the album, which from a record company’s point of view would be a bit safer, I would think – but within the country music genre, I think you’re safe to go to the songs that are more emotional or more personal, because the fan support is different in country music. Certainly. It certainly is and, look, there are definitely songs on the album which were big songs for me and so there are different points where people can connect and relate to, at all points of the career, but they’re interwoven with those other songs which are personal and [there are] personal reasons why they went onto the album as well. So hopefully it makes sense; it should. Listening to the album top to bottom – ’cause it’s in kind of chronological order – it should sort of feel like you’re going on a journey and going, ‘Okay, I’m listening, I’m flicking through this diary and I’m watching this guy change over the course of 12, 13 years, watching his music style, his lyrics, everything change and that’s where he started and now this is where he is now’. Given that there are two new songs on the album, that’s quite a heavy responsibility to put on new songs to go on such an album as this. So how did you choose them? Yeah, I guess it is … Obviously you go, ‘This is where I started, this is the journey I took and this is where I am now’. So it’s got a nice little wrap-up of putting the two new songs in there, it’s giving a taste of what I’ve been writing and how I feel and the sound that I have, and also the song ‘Freedom Rebels’ really is a sort of anthem from my heart, I guess you could say, because it’s saying it doesn’t matter what anyone else might say, there’s enough inside of you to go where you want to go because only you know what you really want out of life, how you want to get there and other people around you will find a million reasons why you can’t do it, why you’re not good enough, why you shouldn’t do it, but inside of you there’s enough. So you just don’t worry about them, you just go for it; live your life like a freedom rebel [laughs]. And it talks about the connection between two people or your team, whether it’s your partner in life or your team or your business partner. It’s talking about this connection … so that’s kind of a nice way to launch into the next chapter – what’s in the road ahead –using that as your springboard. You’ve had a long career now and you’re still a young man. You’ve had a lot of albums, you’ve played a lot of shows, you’ve got a lot of fans and there’d be a lot of industry people around you – have you found it difficult to maintain your own true course, to be that freedom rebel through your career? There’s obviously always opinions and things that other people around you always ring in your ears, but I think that the trick is to listen to your heart, because ultimately I think you really do know what’s right or wrong in your heart; you just sort of succumb to pressure a lot of times. But I’ve certainly felt in these last couple of years that I’ve found my own voice and my own feet to know what is right for me, so that I feel completely comfortable and at ease inside that I’m doing what feels right. And I think that’s a pretty good place to get to, especially with artists, because there’s so many opinions of obviously, as you said, managers and agents and everyone around you sort of thinking what you should do, and then there’s obviously the public opinion – ‘We didn’t like that or we like your old stuff or like this or like that’. You’ve got to take all that on board but at the end of the day your heart’s got to be in it – you really need to feel good about what you’re saying and what you stand for, and I think the bottom line is [that] if everything you do is with honesty and integrity, then it’ll all fall into place. It’s probably therefore not a coincidence that at this stage in your career, it’s not just about a retrospective but you’ve also chosen a way to record these songs in a way that really exposes your singing voice, because the voice reflects really what’s going on internally with any singer. And so to be able to record these stripped-back versions of these songs where your voice is really high in the mix and a real focus, it takes a certain amount of confidence, I guess, and a certain amount of comfort with your voice. Yes, and I think that’s part of getting to a place where you go, ‘Okay, well, this is me, this is what I do and how I do it – it may not be pretty but it’s all I’ve got and that’s what I’ve got to work with’ [laughs]. I do feel like I’m in a pretty comfortable place with all of that stuff and I feel like whatever I do now, I’ve just got to do it with honesty and do it with integrity – not that I didn’t do that before, but I probably just didn’t understand that when you do this with other people and things like that. But I certainly feel right now that in a place of having this album out and now moving into this next album, it’s going to be – it’s me. This is who I am and I make no excuses for it and I’m just going to do the very best I can. Well, that’s a very good philosophy and I’m also thinking that the album you’re recording now is the one I saw a photo of you taken in a studio where you had a scarf on, saying, ‘It’s freezing in here’, and I remember thinking that’s not good for a singer [laughs]. [Laughs] I don’t have to sing for about another three weeks, actually. Yeah, we’re just doing all the drum tracks, the bass tracks, that sort of stuff. So I was sitting there wrapped up but when it comes time to sing, I’ll be in another booth and I’ll have my shoes off, I’ll have a warm cup of tea while I’m singing and yeah, and it’ll be a whole different kettle of fish. And the recording process for this new album is obviously different to what it would have been for My Acoustic Diary. Was it kind of strange for you to not have all those instruments – and I guess it probably took less time as well, because you weren’t recording so many people. Yeah. All the albums I’ve done over the years, and most of the country albums, are done in a way that you just put the whole band, everyone sits in there and they all play then you just go and fix your little bits or redo something or put another track, part track over the top and you kind of do it like that; it all gets created at once. This album I’m doing totally differently. We’re talking about the new album for next year now. So this album for next year, I’m doing it differently. We just started to get the drums and bass tracks – we’re building it layer by layer, just a little bit different than normal. But the acoustic album we’ve done entirely 100 per cent in three days with just three of us in the studio, all in one big room all looking at each other while we just put it down live. So it’s a completely different vibe. I loved it and now I’m also loving doing this new album this way as well. You sound like you’re a musical pig in mud or something like that [laughs]. Yeah. The best mud I love to roll around is on stage [laughs] that’s when I’m the happiest, the fattest pig and the happiest and smelliest mud, but the studio at the moment, I actually really enjoy it. Speaking of being on stage, you’ve got the song ‘New England Highway’ on the album and I was wondering what Tamworth means to you – apart from celebrating your birthday, because of course Adam Brand’s Birthday Bash is an integral part of Tamworth. [Laughs] Obviously Tamworth was a pivotal point in my life, not career, in my life because my life changed there. So every time you go back there, there’s definitely a feeling of this is where it all began. It’s quite a weird little feeling, a good feeling but it’s a weird feeling that that’s the place where my life took a completely different course. As a young man coming to Sydney from Perth, you must have had dreams, because that’s a big thing to do, drive across the Nullarbor and come to Sydney. Have all your dreams come true or do you still have some in the tank? You know what, I think your dreams change over the years. As you mature and grow older and go through things, I think your dreams change, like my dreams may have been to sell 10 million albums or whatever back then but my dream now is to have peace of mind really [laughs]. That sounds like an old Confucius saying – like my dream now is actually doing what I’m doing and that is to make a living doing something I love, and doing it in the most honest and relaxed way possible, and being surrounded by people I trust, being surrounded by guys in my band who I call my brothers, and just really enjoying the whole process of leaving home and knowing that we’re going out to play our music for people and that’s how I get to live my life. I’m blessed to be able to do that. So I think that in itself is the dream and to be able to continue to do that really is something that I don’t take for granted. Well, I’m sure your fans will support you in this new album and I’m sure it’ll be hugely popular and then you’ll have a new one next year as well. So I’d say you are living that new version of the dream. My Acoustic Diary is out now.